Here’s what’s happening in the world of television for Monday, April 1. All times are Eastern. The Twilight Zone (series premiere, CBS All Access): Prepare to enter the fifth dimension. A dimension as vast as space and as timeless as infinity. The middle ground between light and shadow, between science and superstition. This is the dimension of imagination. It is an area CBS All Access calls The (new) Twilight Zone. 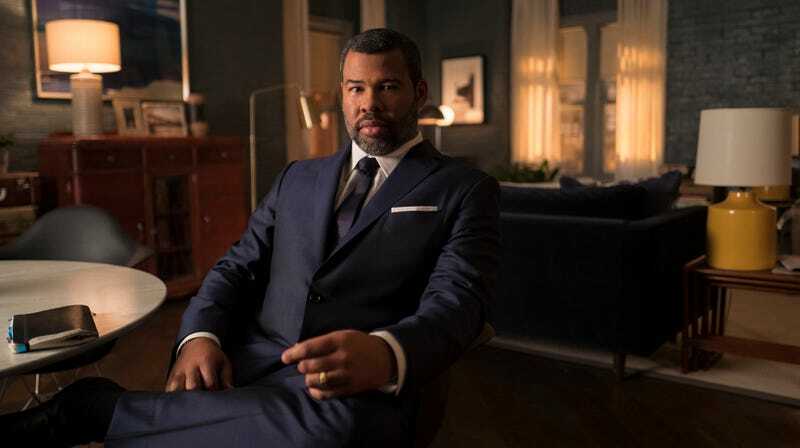 Executive producers Jordan Peele and Simon Kinberg re-imagine the iconic sci-fi franchise for the modern era, continuing the original show’s legacy of “socially conscious storytelling.” The first two episodes—“Nightmare At 30,000 Feet” starring Adam Scott, and “The Comedian” starring Kumail Nanjiani—premiere today, with new episodes releasing every following Thursday. Noel Murray is standing by to recap. Ultraman (Netflix, Monday): Keeping to the theme of rebooting 60-year-old sci-fi franchises, Netflix releases the first season of its Ultraman revival today. Set a few years after the events of the live-action series from the ’60s, Netflix’s Ultraman follows Shinjiro Hayata, son of the original Ultraman who, despite his fancy new tech, can’t actually transform into a giant, as is customary for an Ultraman. We don’t know how many episodes to expect, but if you’re a fan of the franchise, this should be worth a watch.